A former Shanghai Minister for Higher Education and Minister for Overseas Chinese Affairs, Dr. Yuan Cai is a highly respected identity in China. Dr Yuan has served on the Boards of many Chinese government owned educational institutions and commercial enterprises, and has mentored and advised China’s top commercial, educational and political leaders. During his fifteen years as Shanghai Minister for Higher Education, Dr. Yuan was responsible for far reaching reforms to China’s education system including the establishment of new centers for learning and excellence. 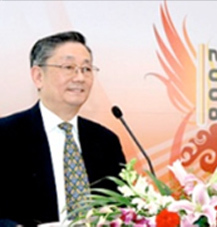 Dr. Yuan has served on the Boards of many Chinese government owned educational institutions and commercial enterprises including the prestigious Fudan University (from which he graduated in 1961) and is a founding Director of China’s first private university – Sanda University – which was created in 1992 to facilitate comprehensive international collaboration between China and more than 20 universities around the globe. He was also responsible for the evolution of the Xinya Group into the now publicly listed Jinjiang International, China’s largest hotel group and commercial conglomerate. Dr. Yuan has considerable expertise in the not-for-profit sector and, amongst his other roles, is Vice President of China’s most reputable charity – The Shanghai Charity Foundation (SCF). He is highly regarded as a mentor and advisor to China’s top commercial, educational and political leaders and has direct relationships with high-net-worth Chinese people living outside Mainland China as a consequence of his role as Minster for the Overseas Chinese Affairs Bureau. Dr. Yuan is a long term member of the Chinese People’s National Political Consultative Committee.